Red Line 15W50 synthetic motor oil. We have been using RedLine 15w50 Oil in our street cars and race cars for years. Hands-down, it is the Number One brand of high performance lubricant for BMWs. The ultimate high-temperature protection in Red Line engine oils recommended for street use. Good for engines that regularly run very high oil temperatures. Best for engines that run large clearances such as air-cooled engines or large-displacement, all-out racing engines that see occasional street use. Provides 25% more viscosity in bearings than petroleum 20W-50s. Not recommended for use in cold climates where temperatures are at or below 10�F or -12�C. Not recommended for street use in production engines that see sustained oil temperatures below 225�F (those engines should use Red Line 10W-30 or 10W-40). Turner Motorsport recommends this oil in the E30 M3 during the summer and for track-use. 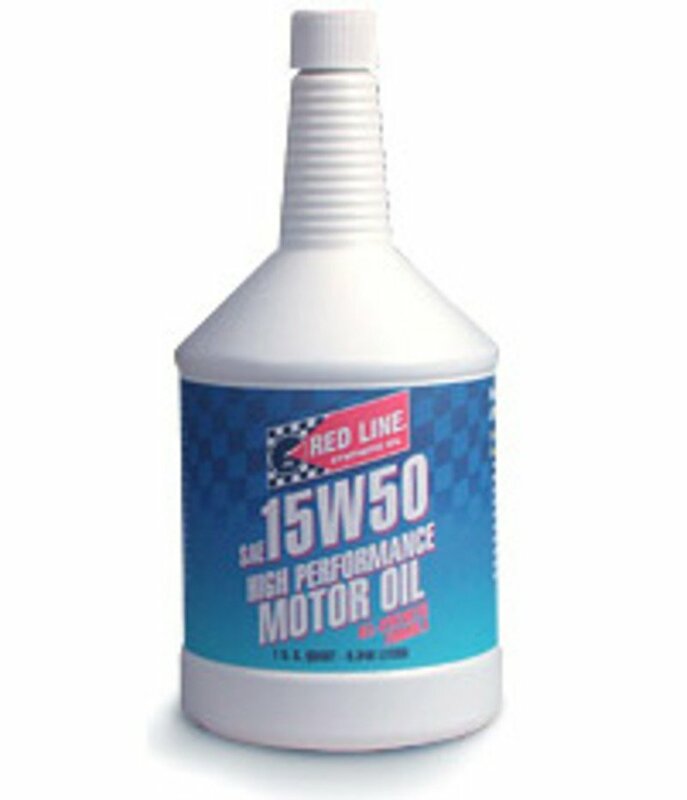 Red Line 15W50 synthetic motor oil. We have been using RedLine 15w50 Oil in our street cars and race cars for years. Hands-down, it is the Number One brand of high performance lubricant for BMWs. The ultimate high-temperature protection in Red Line engine oils recommended for street use. Good for engines that regularly run very high oil temperatures. Best for engines that run large clearances such as air-cooled engines or large-displacement, all-out racing engines that see occasional street use. Provides 25% more viscosity in bearings than petroleum 20W-50s. Not recommended for use in cold climates where temperatures are at or below 10°F or -12°C. Not recommended for street use in production engines that see sustained oil temperatures below 225°F (those engines should use Red Line 10W-30 or 10W-40). Turner Motorsport recommends this oil in the E30 M3 during the summer and for track-use.